Do you know how many book titles Amazon.in has on leadership? More than 96,000! But have we understood the topic of leadership? It’s a question I’ve always asked myself. And my response to it has mostly been ‘no’. Initially, a common way of explaining leadership was to use successful people as examples and then list their characteristics. Management studies later moved on to talking about styles, qualities, or levels of leadership. There is a lot of jargon on leadership doing the rounds, but the core of the subject is still elusive. Another common understanding is that a leader “leads”, implying that you should be technically more qualified than the set of people you lead. Otherwise, you would end up following someone else’s instructions – making you more of a follower than a leader. A common misconception also arises when we equate a leader to a superhuman – who can do the impossible…someone who has answers to all the problems, and hardly ever makes mistakes. As children we broke down toys to understand how they worked. As adults we are taught to break down problems into smaller chunks to make them more manageable. But when physicists broke down matter to find ‘the’ fundamental building block, they found instead many unstable sub-atomic particles. Leadership is similar; it isn’t something that can be understood by breaking it down into qualities or styles – the whole is more than the sum of its parts. 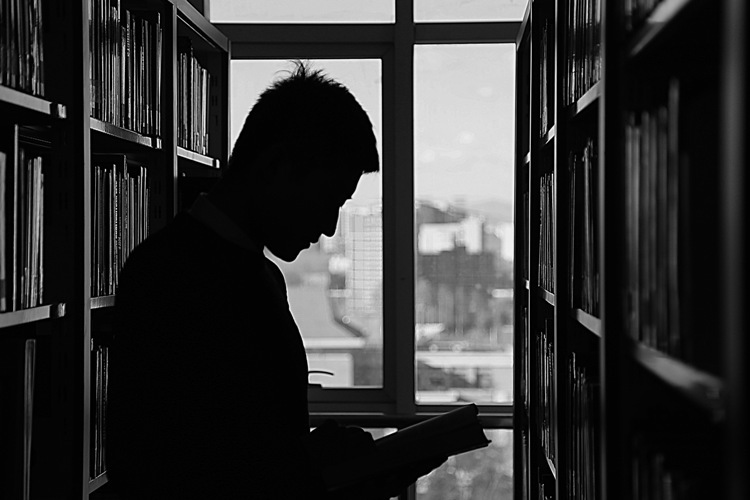 If it were not so, leadership would have been a much better understood subject after 96,000+ books. Moreover, by trying to explain leadership through qualities or styles, we dodge the main question, and bring in more confusion to the topic on hand. If you notice, in many corporate trainings – for lack of a better understanding of leadership – they discuss instead the differences between a manager and leader. But did great leaders study leadership in this way? If leadership is to be really understood, it has to be made more direct and simple. Leadership is almost always attributed to the ability to give great results when faced with tough situations. Yes, vision is important but it is not enough. It is not about ‘what the solution is’, but about executing that solution and resolving the situation at hand that creates great leaders. Hence ‘good’ leaders are able to achieve desired results. The ‘desired results’ may have layers, and we will discuss that later…but if leadership is essentially about finding solutions, then first there has to be a problem. Hypothesis 1: A leader can’t exist independent of the problem. Think of ten leaders you admire. All of them without exception would have faced a problem or a challenge that they worked to resolve, and as a result were considered great leaders. Corollary: In our stories and real life, a hero too is someone who emerges after going through a situation of conflict and coming out unscathed. Are leaders and heroes the same then? Here are two examples – James Bond and Mahatma Gandhi. Even a British would not think of James Bond as a leader though he gets results. And Mahatma Gandhi? The Dandi March he undertook in 1930 to protest the salt tax, has been considered a milestone in his leadership journey. Considering the euphoria, you would think the taxes were withdrawn. Well, they were withdrawn…though not by the British, but by Jawaharlal Nehru in 1946 – a good 16 years later. If Mahatma Gandhi was a hero of any story, the salt tax would have been repealed the next day. We can safely conclude that leadership and heroism are not synonymous. 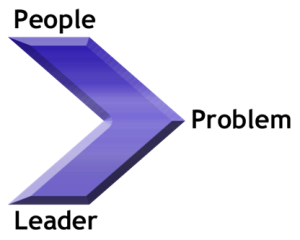 So leadership is about a problem and a solution… plus something more. Earlier we talked about layered ‘desired results’. One has to be clear about the desired result even though it may not be stated publicly. Hence the Dandi March is considered successful because its main objective – to connect and unite the people of the nation – was achieved as other marches were later held in different parts of the country. The salt tax just became a reason to bring everybody together. Unless you are able to involve people in the problem you are trying to solve, you are not a leader; may be a hero at best. Hence, all the superheroes like Superman, Spiderman, or Batman are heroes and not leaders, even though they may have aspirational qualities. This is largely because superheroes operate alone, in their insulated world of gizmos… They are seldom seen to make people a part of the solution – they simply hand over the solution. Hypothesis 2: A leader can’t exist independent of people. It is easy to see this in politics, but let us consider cricket. If we talk about the greatest captains in Indian cricket in recent times, there might be a debate about Dhoni vs Dada (Sourav Ganguly), but do you notice that Tendulkar doesn’t even appear on the list. He may be the most talented batsman, the best human being cricket will ever see, or even the ‘god of cricket’, but he still isn’t known for bringing out the best in his team, like Dhoni or Dada did. Corollary: If leadership is about people, then would having a bunch of people who blindly follow you, make you a leader? Seemingly yes, say, in the military, a local gang of goons, or any formal or informal cult/organisation. But for people to truly grow, they need to act on their free will rather than just yield to your power. Read more about the dynamics of power and leadership in Why People Mistake Power for Leadership. In fact, leadership is about helping people become a better version of themselves and making them independent. Unless that happens, have they really been led? Have they really experienced leadership? Gandhi’s biggest disciple was Vinobha Bhave – a man who single-handedly collected over 4 million acres of land through donations – the largest non-violent land ownership change in the history of mankind. How did Vinobha do it? He just went out and asked for it. The people who gave away their land, to reduce inequality, must have undergone some emotional and mental shift steered by Vinobha to be able to do that. People enthusiastically participate in change only when there is hope. The greatest leaders often emerge from difficult times when hope was needed the most. Good times don’t produce leaders. At best they produce managers who maintain the status quo. When there is leadership, greater good happens because you involve people in solving a problem that affects them. So you reach out to the relevant people via the problem. That is what connects you to the people and takes everybody forward. Any decision that a leader takes is always in the best interests of the people rather than himself. Does your organisation want to ignite the spark of leadership? Are you wondering how to grow more leaders, make them more independent, and help them bring teams together? Reach out to us at contact@yellowspark.in and we’ll create a customised solution for your organisation.